While no one wants to get sick during the winter, it’s inevitable for many consumers. 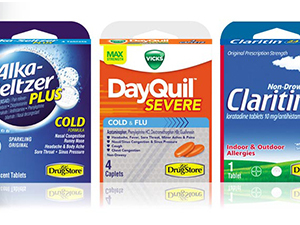 For convenience store retailers, cold and flu medicine are great to keep in stock, but beyond the obvious products such as decongestants and cough medicine, several other products can help boost health and beauty category (HBC) sales incrementally. Here are a few strategies to employ, as well as a few products to consider stocking, to help thrive through these tough few months. C-stores are, of course, all about convenience. When consumers come in to purchase cold medicine, for example, what better pairing than cough drops or lip balm to help ease their other cold symptoms? Retailers can count on shoppers to purchase medicine and other cold- and flu-relief products, but to boost sales in HBC, making sure peripheral products are well-placed can help. For instance, placing cough drops next to cold remedies can trigger a lightbulb moment in shoppers, or placing lip balm by the cash register could encourage impulse sales. Showcasing products both in areas where they make a clear connection to related items as well as at the checkout counter--where visible signage and appropriate messaging can encourage additional purchases—can be the key to increasing incremental sales in the HBC category during winter. In addition to where products are located and how visible they are, incremental sales can be encouraged by offering appealing products. During winter, seasonal, special edition-type products can perform well, even with everyday products such as lip balm. With numbers like that, it’s worth it for retailers to consider placing cold and flu season products in prominent visibility. Beyond medications, products like cough drops, vitamin C supplements or hand lotion can all be ideal for increasing incremental sales during slower winter months.